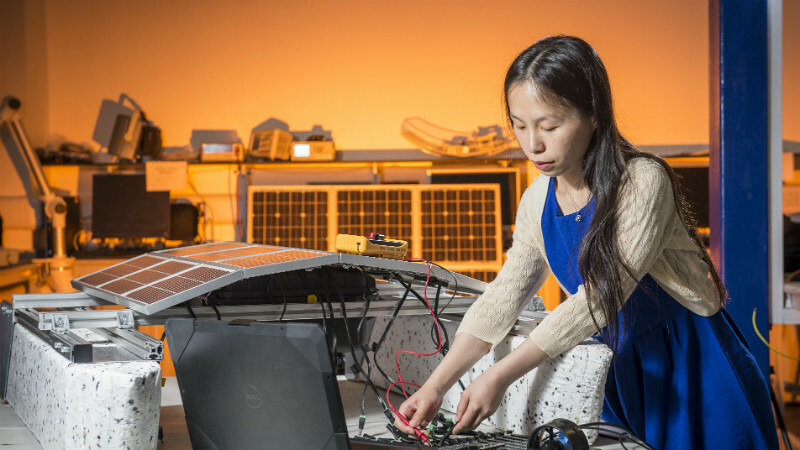 Wangwei Kong tells us about why she chose to study an MSc in Electrical Power Systems and how it has helped her take the next step to PhD level at Bath. I chose to study my master's at Bath because the University has a very good reputation and scores highly in satisfaction in the National Student Survey. It seemed to me to be the best place to enjoy yourself while learning. My course in Electrical Power Systems includes both taught units and projects so my learning experience is varied. Normally, I have two to four lectures each weekday. My lecturers are all very nice, patient and helpful. I know that I can easily reach them if I have any questions about my course. This degree prepares students for work in relevant engineering industries. It also helps you discover topics for future research if you're planning to further your studies and career in academia. The most rewarding part of the course is the group activity. Similar to working in a real business environment, we were randomly allocated to groups. We worked together in our teams to finish a conceptual design. Through this process, I met new friends and improved my communication skills. After graduation, I'm planning to stay on at Bath and study a PhD.